Hey Graphic Designers this is for you! Shipping everywhere..., and there are heaps of support features too. 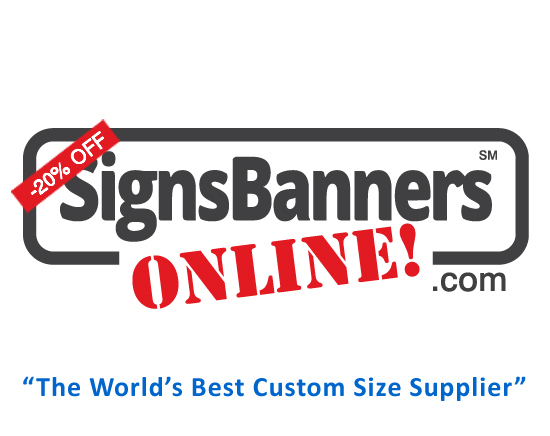 Within minutes graphic designers will know how to make signs and banners the easy way... Fast..., Signs Banners Online is the factory they use for printing and sewing banners with huge discounts. Hey guys look at services here and make indoor and outdoor banners, signs and graphics with your designs and get customers. It's easy... You can quickly upload your creative into the printing queue and see the preview of your design and watch each stage as it moves around the factory and to your door. IT'S FASTER, EASIER AND CHEAPER. You do not need a login to start and you can track the progress from your desk or device anytime. For a designer... it's a perfect solution.